Portal. Portal. Portal. It’s been three excruciatingly long years since Aperture Science put us through our paces for the sake of science, but in true Valve signature style, the sequel has been snatched from our anxious grasp thanks to a delay pushing any test chamber frolics we have in store forward into 2011. But like a cute yet marvelously ingenious, game-award-touting puppy we can’t stay mad at them, but we can frivolously speculate! Now that Gabe Newell has somewhat nervously announced that Portal 2 is headed to the PS3, there’s no excuse for missing this assuredly brilliant title and with the entire Orange Box package available for £20 on Steam, you should tuck your tail between your legs and be thoroughly ashamed of yourself if you haven’t played the critically acclaimed original! 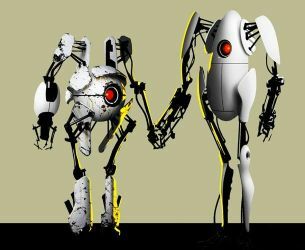 So what do we know about Portal 2 so far? Well we know for sure that our main characters, Chell and the irreverent GLaDoS will make a triumphant return. It’s supposed to be set hundreds of years after the original, when a detached and now independent personality core called Wheatley re-awakens Chell from stasis in the hope she will help him out of the now overgrown and neglected enrichment center. Chell must travel through the facility into different sections under control of various personality cores, as GLaDoS begins to rebuild the center and further test her counterpart. So Valve has advanced the narrative considerably, while maintaining the dynamic between the main characters that made it so successful in the first place. True to their subject matter, Valve began the Portal 2 campaign with nuggets of esoteric messages embedded in updates to the original game and more recently, have released full gameplay demonstrations, detailing a number of new features, but Eric Johnsons’ description of the approach to the sequel leads to me to believe we haven’t heard the half of it. Johnson was adamant that Portal 2 would once again set out to achieve what he understood to be the original’s greatest strength: surprise. And hell, Portal was a surprise, for everyone, Valve bundled it with the Orange Box as a safety net, and no one saw the ending coming or expected the unique interplay between GLaDoS and the player. Needless to say, the creators want this sequel to have the same impact, perhaps an even greater one, now that they’ve got the capacity of a full retail title to play with. What can we conjecture in terms of the story? Because aside from a brief introduction, it’s understandably been kept under-wraps, as we were whisked away to see gameplay features. One may theorize the latter sections of the game will introduce the player to the outside world or at least more of the research center that’s off limits to test subjects. One of the almost eerie, aspects of the original was the complete lack of any other human presence, something we’re not used to in first person shooters. This device may be turned on its head, to toy with us. Will we find other test subjects or someone searching the ruins of the Aperture Science? Who ruddy knows? Anyone invested in the Half-Life saga will be intrigued to see if there are any links with episode two or three, pertaining to the Borealis. We could see both franchises interlace more tightly providing deeper back stories for each other if not advancing the main narrative threads. We also know next to nothing about our protagonist, Chell, leaving yet another wide gap in Portal’s lore to be explored. GLaDoS tells us “You are not a good person. You know that, right? Good people don’t end up here.” in the original as justification for a fiery death, as opposed to a gleeful celebration, so it’s plausible that we might see Chell discover more about her background, perhaps hack into the Enrichment Center’s records. Now that Valve have a full game length to flesh out, we’re likely to see a lot more depth in the narrative to pace the gameplay, as the flinging of yourself through numerous portals will need to be appropriately broken up. 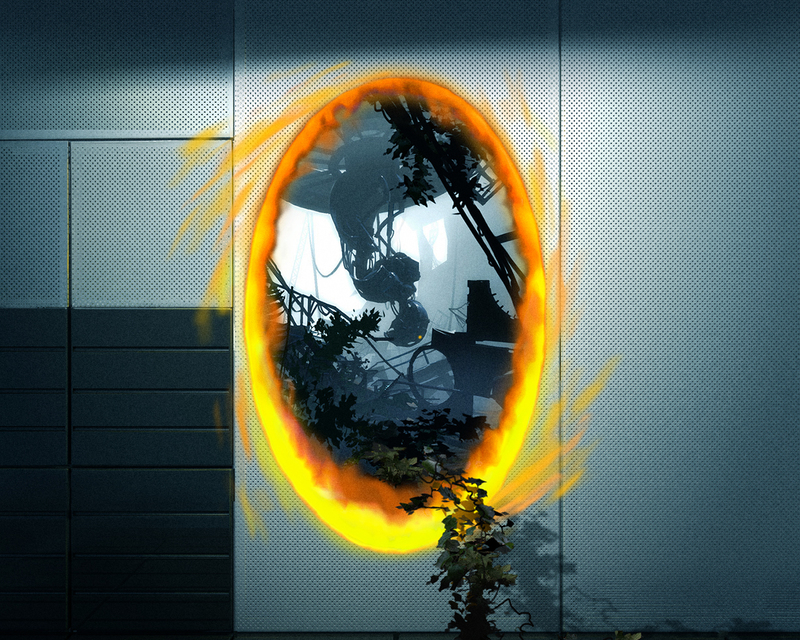 Portal 2’s story could stray in so many directions that speculating is enjoyable but ultimately futile. However, with such an expanse of lore to fill out, from origins to context within the Half-Life universe, you can bet that it will be unpredictable in its culmination and progression. And cake? Nope. Nine. Nil. Erik Wolpaw, co-writer on Portal 2 told Gama we will not see the return of the notorious meme concerning the veracity of the promise of a certain sponge-formed dessert. “If you thought you were sick of the memes, I was sick of it way ahead of you.” The man has a point, it’s old and every kid and his mum are rolling off cake jokes nowadays; and no doubt Wolpaw and his team will once again bring their outstandingly quirky writing to the table, and continue to pull out pearls of hilarity in keeping with the idiosyncratic humour they’ve carved out for themselves. Now that we’ve established what we don’t know about the main narrative, there’s plenty of gameplay we know equally little about. 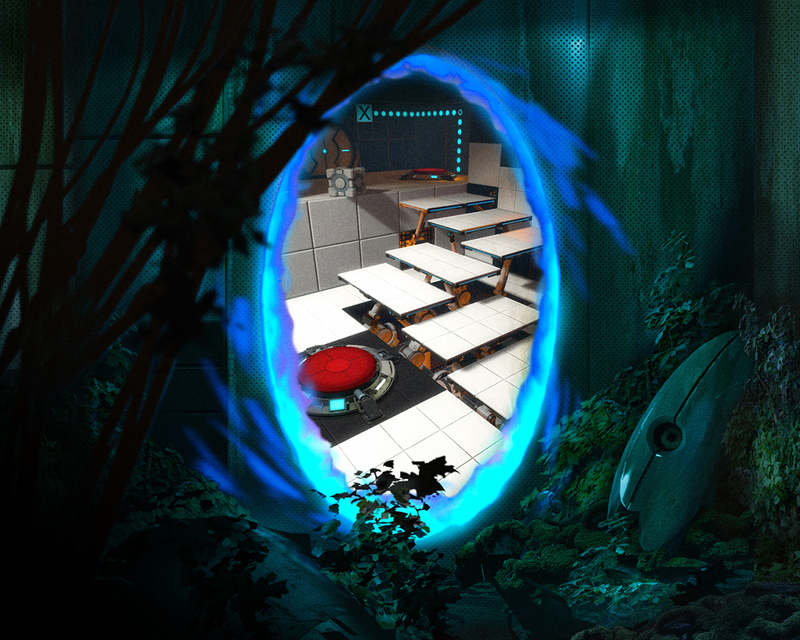 But thanks to the E3 videos, we’ve got a pretty clear idea the direction Portal 2’s headed: more of the same little test chambers with added layers of complexity to keep things fresh, all which utilize the portal gun in some fashion. The Thermal Discouragement Beam will require the manipulation of a hazardous light beam to solve conundrums as well as act as a makeshift weapon and the aptly named Aerial Faith Plates help to negate any dissatisfactory inertia along with repulsion gel and propulsion gel, which can be thrown through portals as large globules, to help you jump farther and move faster, respectively. These are just a few awesome additions and the videos (below) show the full array of comically labeled testing pieces, all of which show a marked effort from Valve to capitalize on the fantastic physics of the Source engine within the Portal series. It’s also going to be really interesting seeing Chell interact with the decaying Enrichment Center, no doubt meaning certain test chambers won’t be as simple or safe (as safe as machine-gun-laiden robots can be) as originally intended, and will require some lateral thinking. I only feel sorry for those who have to playtest the full-length game, as it seems Valve employ a rigorous testing method, akin to Aperture Science’s, ensuring the answers to puzzles are neither overt nor too baffling. 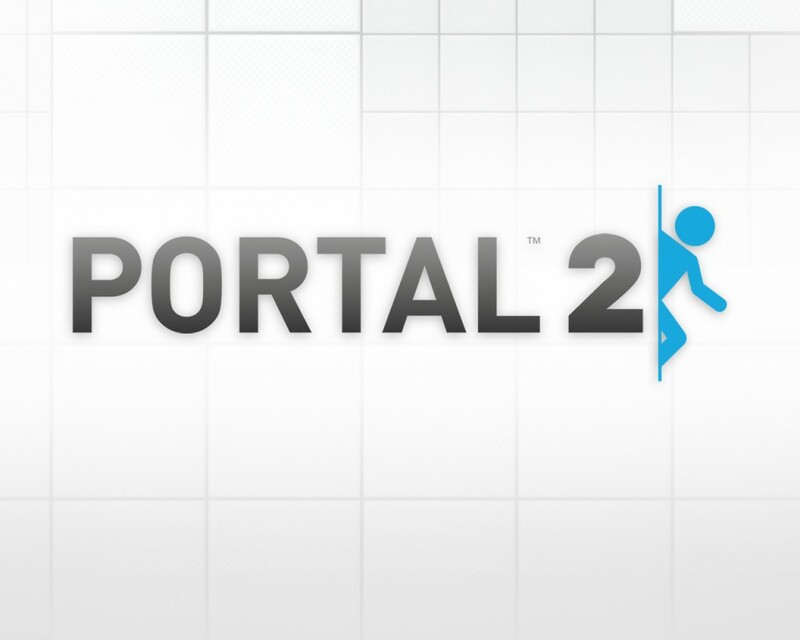 But it isn’t all just about refining and expanding on the established Enrichment Center escapades; Portal 2 has a completely new supplementary experience to debut, something that was widely requested by the community and that’s Co-op. Thinking with portals is purportedly going to a lot tougher with a companion, as you’d imagine. The characters designed for co-op are a modified sentry bot and personality core, complete with portal gun-yielding appendages. The reason behind this casting is apparently that having considered that this would be the first time you could see the horrific deaths of companions upon failure, by crushing or some equally gruesome end, the team figured they’d spare test subjects such sights in favour of the more comic demises of loveable robots. It’s unconfirmed how these two chaps will fit into the story but I’d be very surprised if they didn’t pop up in the singleplayer at some point, if only as a brief cameo. The potential for co-op is even more incomprehendable and put together with the cavalcade of new features and you’ve got a sure winner. Thankfully, we are safe in the knowledge that Portal 2 is in the steady and talented hands of Eric Johnson. And although Valve have a tentative relationship with release dates, they have never squandered a good IP. Aperture Science’ test chambers will open once again sometime in early 2011 filled with brand new chances to hurl yourself off of ledges, but until then I’ll keep you up to date on any related news and you’ve always got the sweet but short original. The Enrichment Center reminds you that your copy of Portal will never threaten to stab you and, in fact, cannot speak.